Long, short, styled, messy, doesn't matter. You don't have to set a goal to grow it out, or to keep it perfectly groomed, it's your beard, make it look how you want. BUT, don't ignore it. 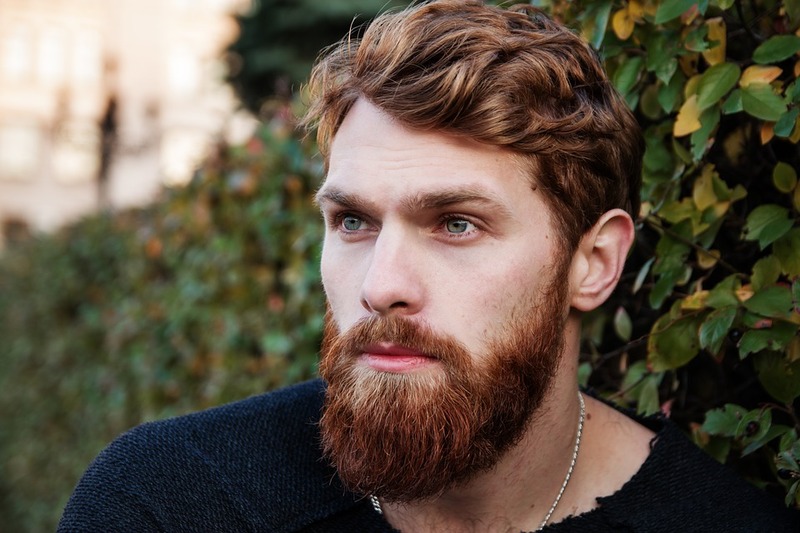 Beards require care and upkeep to stay healthy and to keep you sane, especially during the cold, dry winter season. Okay, that's snow, not beardruff, but you get the idea. Ask any beard newbie and the biggest two complaints are 1) my face itches all the time, 2) every time I scratch my now-itchy face I get beardruff everywhere. Proper beard care will render these issues nonexistent. This seems basic, but the number of men I have spoken with that have never allowed the graceful teeth of a comb, or soft bristles near their face astounds me. Brushing and combing do more than detangle hair, they stimulate the skin under the hair encouraging proper growth, preventing ingrown hairs, and it feels great! Your skin produces oils that your beard needs. Maintaining proper hygiene and showering everyday removes these oils. You need to put oils back. This is an unbelievably simple, unbelievably effective, and unbelievably crucial step, yet so many people miss it. I get it, I sell beard oil, so of course I'm saying that. Simply put, that's why I started UBIQUITY, because I saw the need for oils and wanted to make my own. Check in on it, ask it how it's doing, see if it needs a trim or a different style. Are you getting split ends? Does it feel a bit dry and bristly? Have you been getting too many ingrown hairs? Every beard is different and you'll never learn how to take care of yours if you don't pay attention. We respect your privacy. We will not spam you, we will never sell or give away your information. Facial hair grooming seems like such a daunting task, one wrong move and you have ruined weeks, months, or years of growing work. It feels overly difficult but wit the proper approach you can mitigate most of those fears, at least enough to keep yourself neat in-between barber trips. These 5 tips will help you brave those shortening shears and come forth triumphant. Have you ever heard someone claim they have a patchy beard? Sometimes, sure the facial hair may be a little sparse, but most of the time this is because facial hair grows at different speeds. 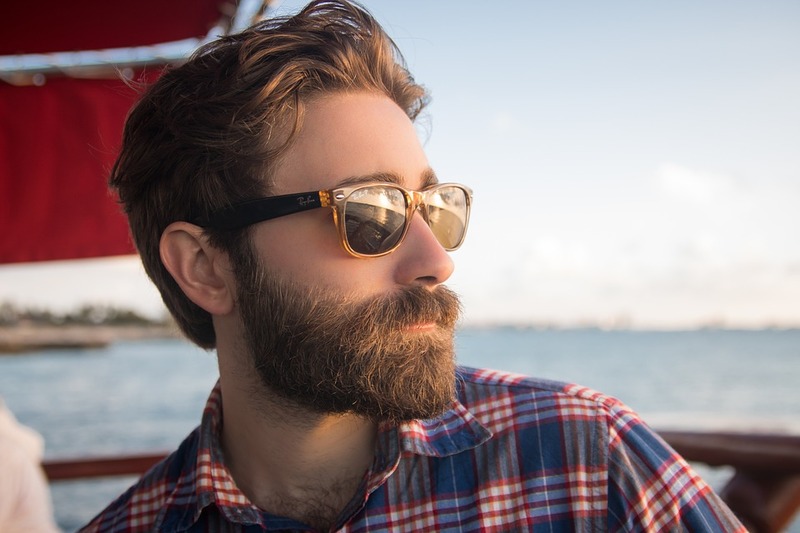 Keeping hair trimmed to approximately equal lengths will make your beard look, and feel, more full. We've all been there, the beard starts getting a bit long and luxurious but the sides flare out at the sideburns. Most men get frustrated and trim their beard all the way back, but you don't have to. Use clippers or scissors to fade those sideburns into the beard to clean up your look and give your beard a proper shape. When facial hair practitioners feel that they need a glorious mustache, they tend to just let the entire upper lip grow, but the most important portion to a flared or curled mustache is the ends. By leaving the corner of your mouth long and trimming over your lip, you can achieve that envied stache without making soup a nightmare. This sound simple but the number of people who simply don't comb their beard is honestly astonishing. They tell me their beard is out of control, but go on to explain how they've tried exactly nothing. Combing your beard will tame strays, detangle, and remove hairs that have decided to shed themselves. With a sculpture each cut is hard and cannot be changed. We often approach beards like this, but they're more like a bush, you can use other areas to fill in. If you have a patch of stray hairs that refuse to lay flat, chop them off the same way you would remove a stubborn branch in a bush. Your beard is a lot more forgiving to small mishaps than you realize, use that to your advantage during your trimming journey.